Unlock Motorola Droid Razr Maxx - Safe IMEI Unlocking Codes for You! Unlock Motorola Droid Razr Maxx Handset! In case your Droid Razr Maxx doesn't ask for the code and there is no designated field to enter it, please DON'T PLACE ANY ORDER, contact us first for support. 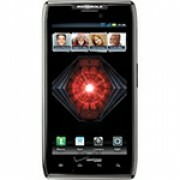 Do you want to unlock your Motorola Droid Razr Maxx smartphone! The process is simple and is 100% Guaranteed to work! We can unlock the latest handsets including: Motorola Electrify, Atrix, Defy, Backflip, V3, Razr, V9, K1, Krzr and many more! We are able to unlock the most GSM Carriers across the world, such as At&t, Verizon, Rogers, T-Mobile, Fido, Bell, Telus, Vodafone, Orange and many more GSM Carriers! How to Unlock Motorola Droid Razr Maxx Phone - Tutorial!